Glenavon have signed exciting 19-year-old winger Joel Cooper from Ballyclare Comrades on a two-year contract. 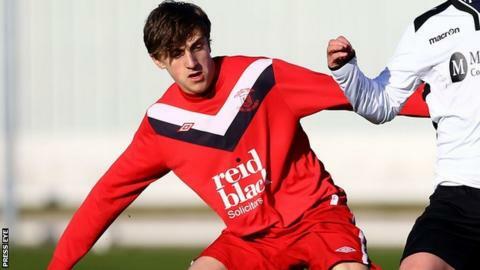 The Lurgan Blues are understood to have seen off competition from other Irish Premiership clubs to secure the signature of the exciting teenager. Cooper can as a left winger but is also effective as a striker or on the right. "Joel is very quick and can deliver a great ball into the box. He is part of our long-term plan to develop young talent," said manager Gary Hamilton. Cooper, who was a star performer in the Northern Ireland Regions Cup team, is a lifelong Glenavon fan, having started attending games with his grandfather. The Mourneview Park club, who finished third in the Irish Premiership last season, begin their domestic campaign at home to Cliftonville on 8 August.